Ori and the Blind Forest caught the hearts of its players and listeners when it was released last year. I reviewed the score when it came out, and I was as captivated as anybody else by the first few notes of the award-winning melody that opened the game. To celebrate the one-year anniversary, Moon Studios released the Definitive Edition of the game, which came with a new soundtrack release from Gareth Coker. 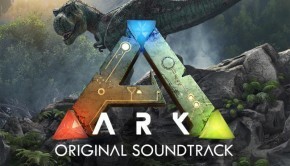 The Definitive Edition soundtrack does not use any music from the original soundtrack, but instead is full of the new music that accompanied the Definitive Edition, unused and unreleased tracks from the original, and the trailer music. How does it compare to the original? I need to open by saying that I’m usually hesitant when I come across scores like this. As eager as I was to hear more Ori music, I also thought the original soundtrack was about as good as it gets, and couldn’t imagine how adding any more music could improve it. There is often a pattern of successful scores getting re-releases with extra music tacked on – as a proud owner of the Lord of the Rings Complete Edition scores, I’ll admit that I occasionally succumb to that kind of marketing – but I also feel reserved at the thought of additional releases only for the sake of promotion, particularly when the quality suffers as a result. However, I was gratified to see that the Definitive Edition of music avoided this approach and subsequent pitfall. For one, the only repeated track from the original game is “Main Theme – Definitive Edition,” the main menu theme. The track originally caused a bit of response when, despite being a powerful opening track in the game, it was nowhere to be found on the original soundtrack. 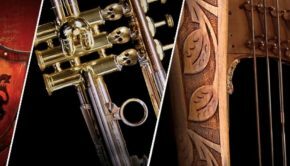 Gareth Coker posted the track as a free download shortly afterwards, but it’s great to hear Aeralie Brighton’s characteristic voice introducing the album with the Ori theme, and see the piece included in a published collection or Ori pieces. Short of this, each track on the Definitive Edition is either brand-new or unreleased; there is no overlap between this soundtrack and the original. The second track introduces the new thematic fixture for the Definitive Edition – Naru’s theme, to counterbalance the now-familiar Ori’s theme (or the main theme). “Naru’s Origins I – Her Home” is very delicate compared to powerful, descending notes of Ori’s theme. The thirty-second track ascends and descends after just a few notes in each direction, ending quickly and and timidly giving way to “Through the Darkness,” a lengthier version of Naru’s theme. “Through The Darkness” is darker and more deliberate, with more powerful downbeats and a minor key change. 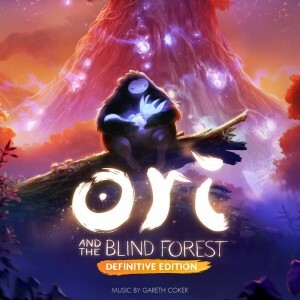 The piece also combines one of the area melodies from the original Ori and the Blind Forest soundtrack with Naru’s theme, which gives the new melody a place on the definitive score. “Dash Through Their Home” is an upbeat track that uses Naru’s theme as a rhythmic base, embedding the more subdued melody into the score’s foundation. In fact, a few tracks later, Naru’s theme is a staple melody of the Definitive Edition, having gone through a beautiful, sweet flute realization in “Naru’s Origins III – A Broken Bond” and brighter and more developed oboe in “A Closer Understanding of the Past.” The latter especially is a track worth mention, packed with chimes, bells, and other examples of pitched percussion, giving it a very woodsy feel. Melodies are played on rich instruments in the lower registers, including oboe, cello, and later rising to violins. The best part of this track is how the two melodies are combined seamlessly. Had I not recognized that one area melody from the previous soundtrack (which is brought to the surface much more in the Definitive Edition), I would have thought that it was simply an extension of Naru’s theme. This pair of melodies also bring up the second reason I enjoyed the Definitive Edition so much. It seems to be incredibly responsive to what listeners wanted after the first soundtrack. The complaints that arose after the main menu music was missing from the original score were addressed quickly, not just with Coker’s release of the track shortly afterwards, but with its appearance on this edition. When I wrote my review of the first soundtrack, one of my few criticisms was the lack of any significant theme other than Ori’s. As beautiful as Ori’s theme is, I would have liked to have seen some counter-theme to balance it out, to add another splash of color on the score. The original music on the Definitive Edition is filled with Naru’s theme, and a stronger focus on the area theme from the first game. It no longer feels like one good theme spread out over an album, but instead a collection of good themes spread out over a game. After the new music comes a few clips of music which accompanied the various Ori trailers. “Trailer – Definitive Edition” opens quietly and dramatically before rushing into Ori’s theme. “Trailer – E3 2014 Announcement” uses vocals to sandwich the vibrant melodies of the middle. 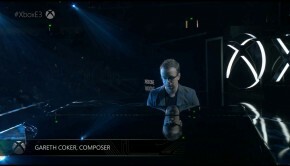 “Trailer – Launch Trailer” is entirely Ori’s theme, descending into a rapid, dark section before it ends with a softer version of the melody. The following nine tracks contain unreleased music from the original game. “Swallow’s Nest” contains one of the best renditions of Ori’s theme, accompanied by a harp plucked with the consistency of a classical Spanish guitar. Coker has an ability to make scores magical without cheapening them in any way. The beauty of Ori is in its use of chimes, high winds and light strings, and memorable themes (now plural!) – but at no point does the score feel gimmicky, as is often the case with scores in similar genres, and I enjoyed the time spent on softer tracks like this one. “Climbing Further up the Ginso Tree” is another favorite track for me; the combination of the soft but consistent rhythms and unique chords at the beginning of the track adds another spot of color to the score. The piece quiets down shortly afterwards, but echos of the chords and rhythm continue until the end. “The Mists Cleared” bring back some of the pitched percussion from “A Closer Understanding of the Past” in light, repetitive flurries. A highlight of these tracks is “Mount Horu Puzzle Rooms – Suite 2,” which frames Ori’s theme in a very rhythmic setting, the melody itself played on bells. There is enough variation in the melody to give it a new feel, from the muted bells to the initially jaunty rhythm to the oddly distorted notes once the melody begins in earnest. Of course, there are a few blander points in this section; there are always songs on a score that are simply not meant to be included on an album. “Hiding from Kuro” consists of jarring shrieks and piercing atonality. As much as I loved Suite 2 of the Mount Horu puzzle tracks, Suite 1 didn’t do much for me. In the context of the game, it might be a necessary break from the richness of the rest of the score, the track on its own was more muted and tense than anything else. This section of unreleased tracks ends with “Returning to the Spirit Tree,” an atmospheric track featuring Aeralie Brighton’s vocals again is a dramatically slowed-down rendition of Ori’s theme – or at least, clips of it. The final section of the Definitive Edition features prototypes and unused tracks. I especially enjoyed this collection of tracks, as it’s full of what made the original soundtrack so memorable, but slightly varied. “60 Second Trailer” is Ori’s theme once again – but with a few note changes and a very minimalist opening (simple piano chords and voice) before it grows to include strings and a second vocal line, which was especially beautiful, adding a new harmony to the canon melody. “Opening Scene” is surprising, because it opens with Naru’s theme, making me think that theme had originally been written for Ori and the Blind Forest, and only developed and incorporated into the game after the Definitive Edition was in the works (unless the prototype section also includes music discarded from the Definitive Edition as well). I thoroughly enjoyed “Facing the Dark (alternate)” as it features the same chords as “Climbing Further Up the Ginso Tree” (although ending much more ominously). “Feeling Kuro (alternate)” uses the whirlwind of notes from the launch trailer and expands them into a full-fledged action sequence setting. “Title Screen (prototype)” takes a music box-like setting for an anonymous melody that’s neither calming nor unsettling, which serves as another pause on the tracklist. The album closes with a pair of contrasting tracks: “The Garden (prototype),” which opens with an uncharacteristically synthy and dissonant choir. I have to say that I’m glad that this wasn’t included in the original cut of Ori, as it doesn’t mesh with the art and musical direction that Ori went in, although I also didn’t necessarily dislike it on its own. Finally, “Rolling Through the Forest” is a delightfully calm and whimsical track, with a watery piano plinking its way through a bright and simple melody, backed by wooden and pitched percussion and echoed chords. The best part of the Definitive Edition album is really doesn’t seem out to milk the success of Ori, but instead is a good response to the success. While owning what is essentially the entire collection of Ori music, fans need to purchase both the original soundtrack and the Definitive Edition, there is absolutely no overlap of music between the two albums. Additionally, the Definitive Edition score is available for digital download on Bandcamp – with a name-your-price option for purchase. For over an hour of new music, it’s absolutely worth it, and fans of Ori will be glad to hear that the quality has not changed since the original. Posted on August 14, 2016 by Emily McMillan. Last modified on December 2, 2016.